Family, Stamping and FOOD! 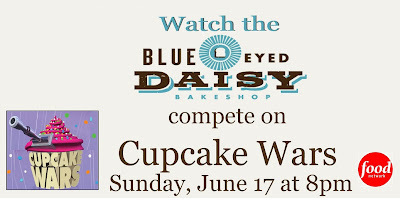 : Watch us compete on CUPCAKE WARS!!!! 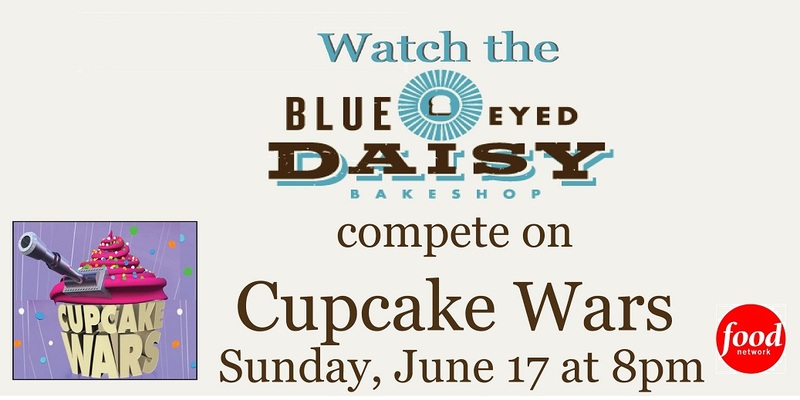 Watch us compete on CUPCAKE WARS!!!! I am so excited to announce we will be competing on the Food Network hit show Cupcake Wars! I have been a huge fan of the show for years and was thrilled when we were selected to compete. I hope you'll tune in with us on Sunday June 17, 2012 at 8:00 p.m. to watch us in action. We are also going to be hosting a viewing party at the Blue Eyed Daisy Bakeshop that evening and I would love to see all my friends and family join us. oh that is great, I have been waiting to see you would get on. You ladies will be awesome!!!!!! I knew it! I can't wait to see it. So excited.